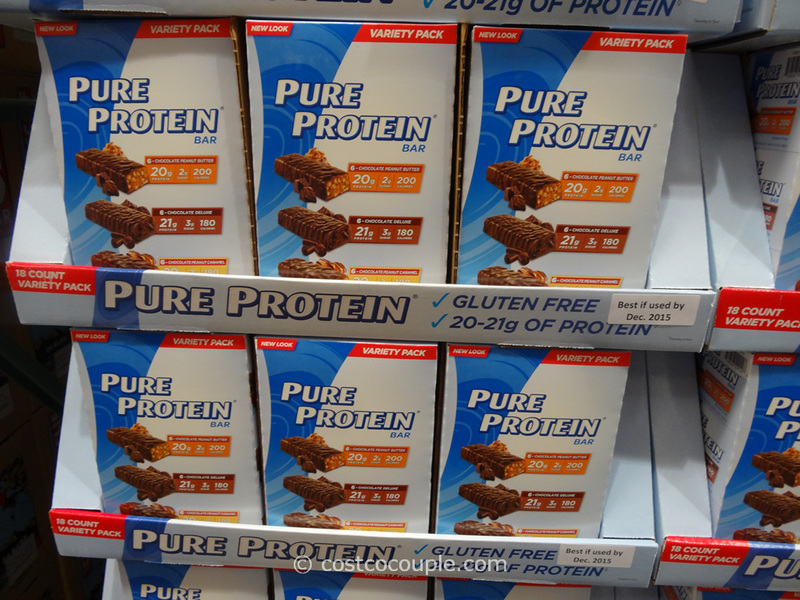 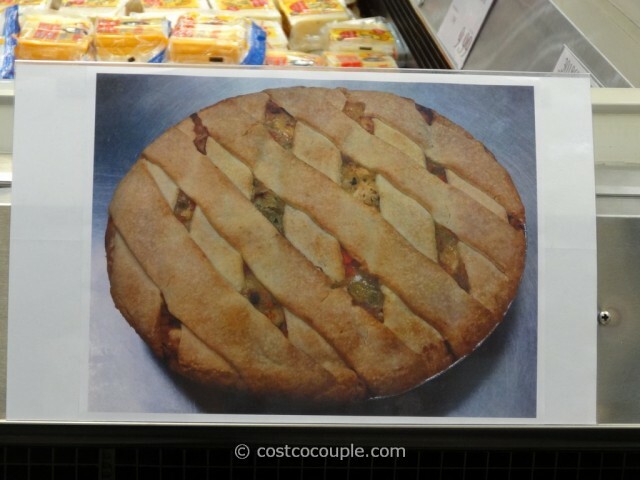 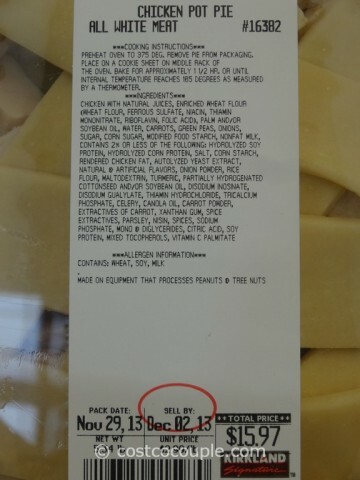 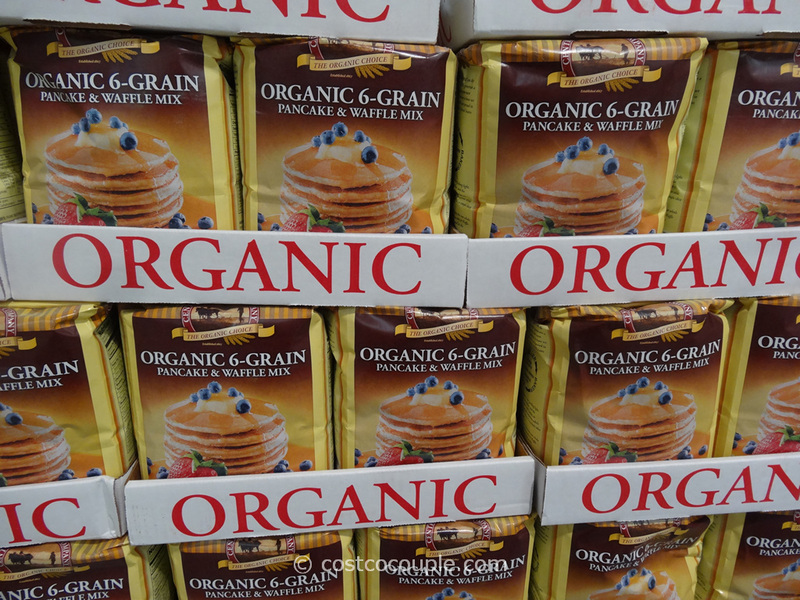 The Kirkland Signature Chicken Pot Pie is another take-and-bake option at Costco. 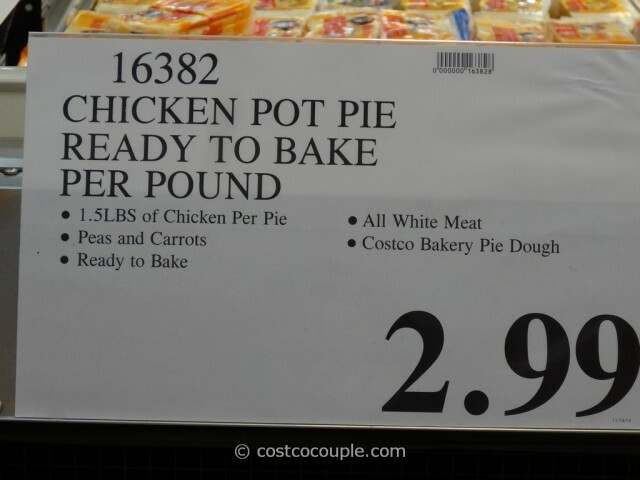 This could be a dinner option on busy days though it does need to bake for 1.5 hours at 375 F.
There’s 1.5 lbs of white chicken meat per pot pie, with peas and carrots in it and made with the Costco bakery pie dough. 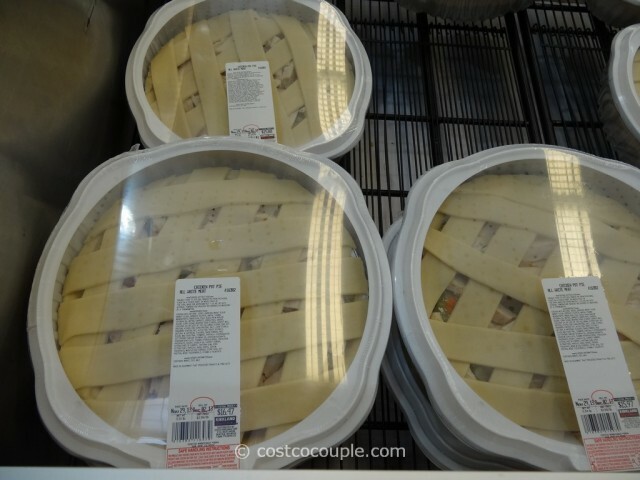 The Kirkland Signature Chicken Pot Pie is priced at $2.99/lb. 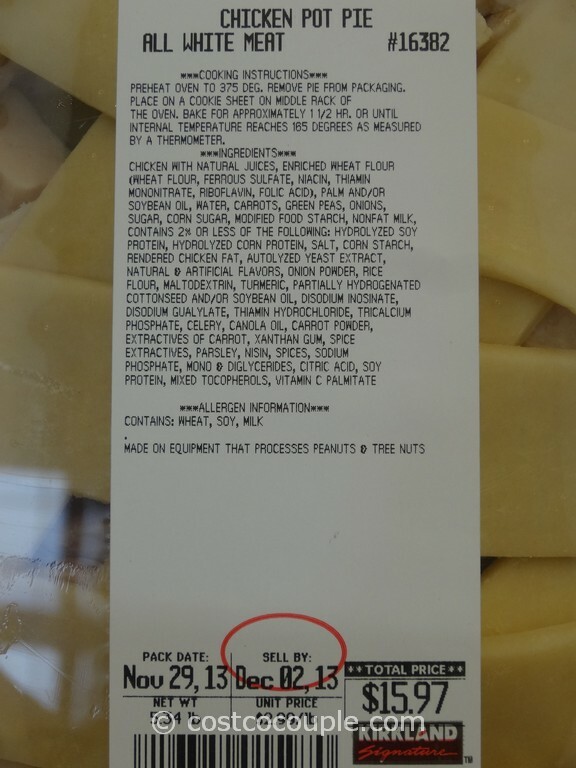 As an example, a 5.34 lb pot pie costs $15.97.